What can I say? How about by starting with: what-an-honor! My producer (Darren Goldberg) and I connected with Christine at a symposium that she was part of at the 2010 Tribeca Film Festival. During one of the coffee breaks the three of us had a brief chat and I reminded her that we had actually met once before when she came to lecture at the Binger Film Lab in Amsterdam where I was workshopping the Oliver’s Deal script in the end of 2008. It has been a long roller-coaster of a journey to get this far I tell you, and I’d be lying if I said that at times it hasn’t been hard. But really, I am most grateful – I have learned so much and to be a part of / watch this project come together has been amazing. One thing I can say that I have learned for sure: it takes real sweat and commitment to put a major motion picture together – there seem to be an infinite amount of moving parts. And I thought putting a short together was work … this is no joke! Fortunately Darren has stuck by my side and believed in me and this project since its inception – truly the mark of a great Producer, Manager and friend. And now the Oliver’s Deal team has its Executive Producer – a key member to help bring this film to fruition. Piece by piece we are getting there. 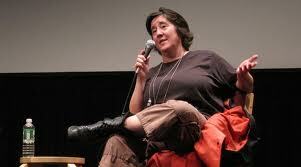 Christine Vachon, we are honored, grateful, and very excited to be working with you. Many thanks! To know more about Christine and her impressive career click here.